Pre-wedding Photoshoot In Chennai-Why To Go For It? The time between engagement and marriage is often the most blissful phase in everyone’s life. Pre-wedding photoshoots add to the bliss by letting you enjoy some really special moments with your future spouse.“Pre-wedding photography is a very modern trend which has emerged in the wedding photography field. This trend is now welcomed by many”-says the marriage photographers in Chennai in unison. What are the benefits of having a pre-wedding photoshoot? Read on! Pre-wedding photography creates lovely memories for a lifetime– Your wedding day photoshoot mostly happens amidst the tension of the wedding day and may not give you and your partner a wonderful time as a couple. On the other hand, pre-wedding photo shoot only involves you and the photographer. When you say no to pre-wedding photoshoot, you are actually saying no to a brilliant opportunity to create the loveliest memories.Thinking of these special moments will make you smile even long after your marriage. Pre-wedding photos can be used to tell your love story most beautifully–If you are having a love marriage, then pre-wedding photo shoot is the perfect way to preserve your love story forever most beautifully. You can choose the actual location where you first met or used to meet regularly. In the process, you can actually relive those wonderful moments once again. A perfect trial for wedding day hair and makeup–If you would like a rehearsal for the wedding day hairstyle and makeup, then this is the best chance to try it out. You can also test your makeup artist’s skill, and you get an idea of how you appear in pictures with a particular hairstyle and makeup style. If you are not pleased with the chosen style, you can get it altered on your wedding day. 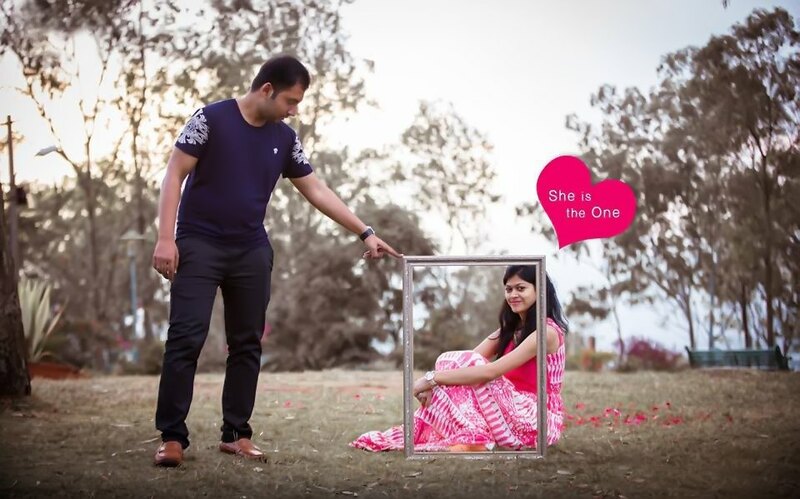 An excellent chance to get closer to your fiancée-If you are having an arranged marriage where you have not got a chance to get closer physically and emotionally to your future husband/wife, then a pre-wedding photo shoot gives you an opportunity for the same. It would also increase the chemistry between you which would be greatly helpful for the wedding day photos as well. You get a better acquaintance with your wedding photographer– A pre-wedding photoshoot enables you to establish a good relationship with your photographer. This would help you to interact comfortably with him on your wedding day which would, in turn, make your wedding day photo sessions easier. The photographer also gets a chance to know about your personality and chemistry with your partner so that he can plan accordingly for the wedding shoot. 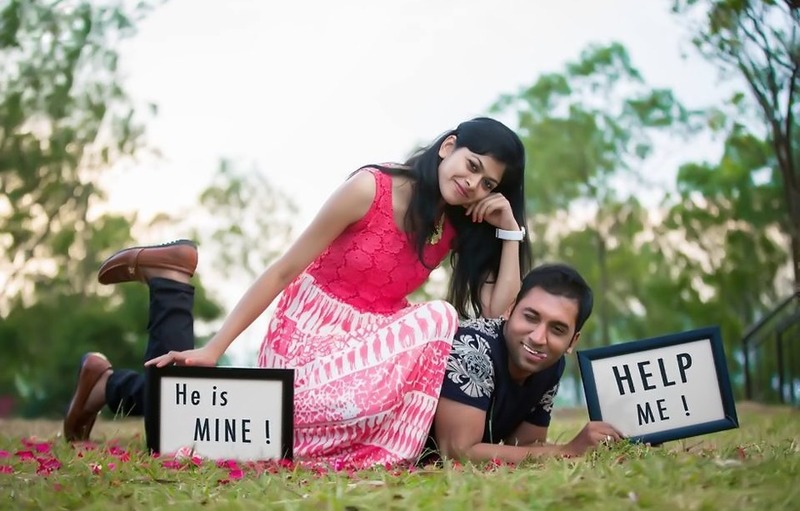 How Popular Is Pre-wedding Photography In Chennai? Pre-wedding photography is altogether a new trend which has gained popularity recently. With romantic photos of couples flooding the social media every day, young people all over the country are behind this craze. The Chennai youth is also not different and have welcomed this trend warmly. Many celebrities are also coming up with mind-blowing pre-wedding photos with their fiancées which greatly contributes to the popularity of the pre-wedding photoshoot obsession. Do not book a photographer randomly -Do proper research and choose the one whose work is most impressive and whom you find an excellent rapport to work with. Covey your requirements rightly to your photographer– The kind of shots you need, the photography style which you prefer, etc. should be communicated to the photographer.Most of the creative wedding photographers in Chennai give you complete freedom to express your ideas. Costume selection -Discuss with your photographer and select the perfect costumes for the photoshoot. He would be the one having the complete idea of the settings and how the final photo would be like. So he would be able to tell you the best outfit to wear for the shoot. Location – If you have sample photos, show them to your photographer so that he gets an idea about the type of location you have in your mind. You can choose a particular place or allow your photographer to choose the same. Whatever is the case, the location does not play a very great role as it all lies in the creativity of the photographer.